On Memorial Day, raise a glass in honor of our nation’s heroes. I had the privilege to conduct a featured interview with three Uncorked Monthly special guests, Ray Coursen, winemaker for Purple Heart Wines, Paul Englert (VP of Sales & Marketing at C. Mondavi & Family) and Jeff Roy (Chairman at the Purple Heart Foundation). Listen in as I embark on a journey with each of them to learn about the roles Ray and Jeff held while in the armed forces. Ray Coursen shares how he transitioned from the armed forces to becoming an accomplished California winemaker. No honor better symbolizes the bravery, determination and selflessness of the military men and women serving our country. It is this most noble medal that inspired the C. Mondavi & Family and Purple Heart Wines to honor our wounded and fallen heroes with an exceptional, purple-hearted blend of Merlot and Cabernet Sauvignon grown in America’s greatest wine region – Th­e Napa Valley. 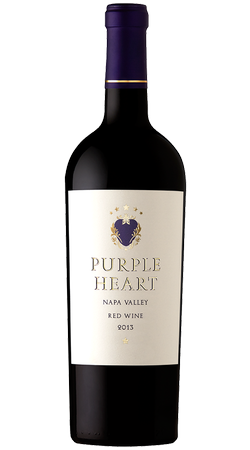 Not only does this wine serve as a worthy tribute to our brave heroes, it also allows Purple Heart Wines to give something back. 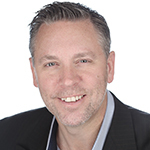 Ray and his team are proud to make an annual donation to the Purple Heart Foundation, an organization dedicated to serving the unmet needs of military men, women and families. Our military personnel make huge sacrifices. When crafting this wine, we made no sacrifices. It is an uncompromising wine made under the close stewardship of the Peter Mondavi Sr. Family, whose patriarch is a proud veteran of World War II. Join Purple Heart Wines as they lift a glass and pay tribute to our brave military heroes and thank them for their profound contributions.